The most cynical analyst tends to say that we’re just going through a classic pendular effect and that it’ll all go back to how it used to be. I actually agree totally with Fred’s thoughts: for a lot of industry segments, we will not get back to what it used to be. – Advertising: most of the advertisers (when they’re buying) are tasting with great pleasure the extra inches that publishers and media companies accept to do to land deals. The bonuses here are more transparency, more efficency, optimized performances, shared metrics… OVERALL: the need for any media platform to now prove to the advetiser its validity as an advertising platform. I don’t think that these guys will actually go back to the black box that was used before. That’s also good news for the internet (which is probably the biggest metric driven ad platform) and all of the startups behind such as BluKai, Simulmedia, Lookery etc. Behavioral targetting, because of its data driven efficiency, should also take off if it’s not blocked by privacy rights advocates. This was presented at TED conferences. How to value a blog? Very good attempt from Douglas A. McIntyre at 24/7 Wall St to try to put a valuation number on the most used and famous blogs even if I get to a very different result. … the other 15 blogs are there. The calculation is getting to strange results on some cases: Sugar at 27m seems like a bargain, especially when it’s based on the fact that the company has 70 employees. For me, part of these employees are actually working on the Coutorture blog network and, more than that, on Shopstyle which brings its own share of CPA / CPC revenues. Also, Gawker at 170m is probably much too high and that’s based on the fact that Doug takes 100% of the traffic (worldwide 23m UV) whereas only the US portion is monetizable (i.e. 14.4m UVs). Traffic: Only US traffic is monetizable. Most of the cases, Doug takes the World traffic. Even if in certain cases, you can monetize it through international remnant networks, it’s going to be the bottom of the barrel. Premium rates can go from $4-5 to $15. I don’t believe in anything above right now, looking at the advertisers coyness. On top of that, you need to take into account that most blog templates includes up to 6 to 7 ads per pages, with maybe only one or two of them above the fold (commanding higher CPMs). The ads below the fold, because of their very low CTR, are usually heavily discounted. Remnant rates are lucky to be around $1 (that’s when fully optimized with a dozen+ of partners). When blogs are using remnants partners, I’ll assume a premium sell-through and then most of the rest through remnants. For the blogs that are growing quickly, I’ve also assumed a premium of 20% on the revenue since I’ve done all my calculations based on January figures. That’s limitative but that’s a sufficient for the exercise. For the costs, I’ve kept Doug estimates since I don’t have any insights there. From time to time, I’ve just adjusted them based on revenues. Traffic: I used an average between ComScore, Compete and Quantcast. Data are diverging from time to time pretty strongly between the sites but it’s better than nothing. As I was saying, I also only used the US portion of the traffic (24/7 used the worlwide traffic data). Pretty big variances here. Over the Top 10 sites, I came up -49.7% on the UV and -38.6% on the PV (the real driver for when we get to the calculation of the revenue). See below the detailled list and you can find here the Excel spreadsheet. Revenues: Obviously, because of the above, revenues vary dramatically, especially for the small sites. Combined revenues for the Top 10 sites get to $60m for me vs. $100m for 24/7 WallSt. That’s a big fallout. The key reason is that I’m very pessimistic on the ability of these sites to get high premium ad sell-through. On top of that, some of them are part of networks (Federated Media etc. ), furthermore undermining the net revenue to them. Margin: Well, as expected, this is where it gets ugly. 4 sites out of 10 are losing money (and I do think 24/7 was soft on their cost estimates for most sites), 2 of them are barely breakeven. Valuations: I’ve took a 2x multiple on revenues on all sites except when it was either a leader in its segment (HuffPo) or particularly influencial (TechCrunch) etc. On operating margins, most of the times I kept a 6 to 8x multiple. When companies were losing money, I only kept the revenue multiple (which is nice…). So, total valuations for the Top 10 properties is at $159m from my end vs $442m for 24/7. That doesn’t mean it will sell this low since between the intrinsic value of a company and its purchase price comes an infinity of variables (how much money was sunk by VC, how much these guys are expecting, what are the synergies to be expected, how badly does the purchaser wants the company etc.). You can find the full spreadsheet detailing the calculations here. As we know, ad network is a big word that covers multiple realities. You’ll find horizontal ad networks (scale and reach across multiple content sites with no discrimination on the content type), vertical ad networks (that represent sites mostly on the same vertical or segment), behavioral ad networks (buying data from publishers enabling them to then reach a particular audience when the user is not any more on the origination site) etc. These networks can sell premium inventory, remnant, data, video inventory or push out market exchanges that help publishers to connect with advertisers etc. The vertical ad networks focused on women really started to take off in late 2005 and 2006 reached a peak early with very high transaction price and multiples (a good example is the $85m round raised by Glam early 2008 as a public valuation north of $450m – see the TechCrunch post there). Still looking at our ComScore December figures (they’re here), we can identify a lot of them highly ranked. Some of them are part of other networks. For all of them, the game is to add properties and have them sign traffic assignment letters for ComScore and Nielsen, enabling the network to show bigger and aggregated traffic figures. EveryDayHealth: The Waterfront Media company, managed and created by Ben Wolin and Mike Keriakos (both initially from Belief Media, that was acquired by Fox last year) is mostly focused on health and well being. 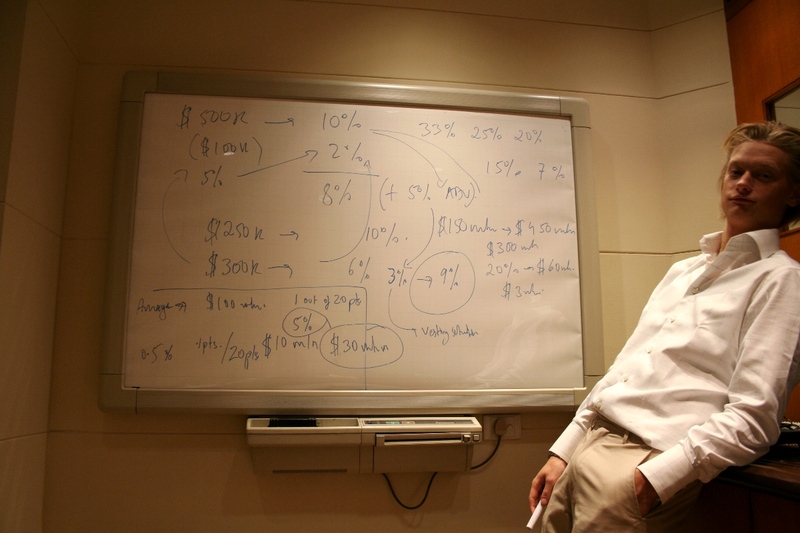 It merged in 2008 with Steve Case’s Revolution Health. The operation is a clever one since it helped the network gain 10m UV as well as beefing up its condition-specific expertise (the traditional background of Waterfront is more in the fitness and wellness area. The company was built on the cash flow generated by the online marketing of the South Beach Diet program, licensed from Rodale). The company is mostly established on own and operated websites but they’ve been adding a couple of large properties in 2008 (before the merge with Revolution Health), in an attempt to close the gab with WebMD. The network represents now 27m UVs from 12m UVs in December 2007 and is comprised of about 30 sites (most of the traffic is internal vs. repped). 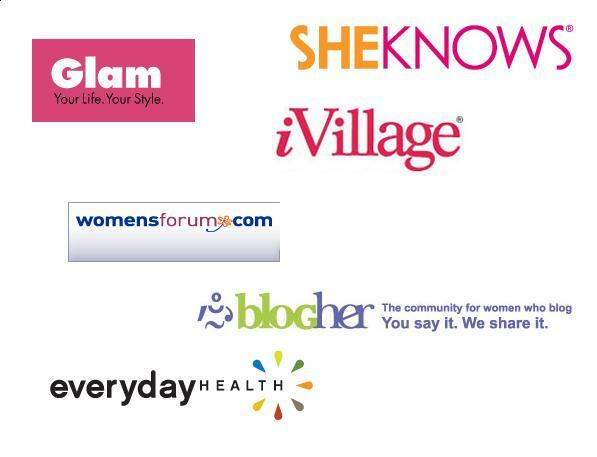 iVillage: The NBCU acquired property is an old name in the internet world. It got acquired in February 2006 by NBCU for $650m under the leadership of Beth Comstock (who since then went back to GE). The company has been integrated into NBC Digital sales (even if Peter Naylor, the ex head of sales for iVillage is still leading the charge at NBCU for the women related properties). In 2007 and 2008, the network added more and more external sites, in an attempt to resist the irrestible growth of Glam. Just like Glam, they also started giving out guarantees to large sites to add them to their network and offset the decline of their historic properties. They’ve actually went a step further with two investments: one in Sugar Publishing (that then decided to take back the ad sales and the corresponding traffic) and one in BlogHer (a blog ad network based in SF). Lately, the head of iVillage, Deborah Fine, has been replaced by Jodi Kahn (ex Reader Digest). A change of strategy is to be expected and, with the declining value of display advertising businesses, that should result in external sites leaving the network after iVillage decides not to renew the guarantees they’ve been offering previously. The network is currently composed of around 50 sites, representing 21m UVs (from 17m UVs in December 2007). Most of the traffic is from external sites (BlogHer and Daily Makeover being the two biggies here). She Knows / Gorilla Nation: The women ad network part of Gorilla Nation has been growing through the addition of external publishers as well as the multiple acquisitions that the company has done in 2007 and 2008. It is entirely backed by Great Hill Partners. I’ll tell you more after I meet this week with the founder of Gorilla Nation but until then, the network is composed of approx 40 sites that reached 8.4m UVs in December 2008 vs. 4.8m 12 months before. The CPMs are dropping: Obviously the biggest challenge for all these networks is the proclaimed dip of CPMs on display advertising. The success of a vertical network is to justify the cut of 50% by the ability to reach larger ad buys (because of the scale) while not having too low CPMs (because of the proclaimed vertical and niche reach of women “24 to 49”). But the model was completly perversed by Glam when they aggregated very low quality sites and small blogs. Also, the decrease in CPMs is already having a big impact on all the ecosystem: most of the networks are now focusing back on the key sites on the network and don’t give anymore guarantee to publishers). The value of ad networks is blurred: Because of the Glam / iVillage competition that drove both of them to aggregate as much as they can, despite the quality of the site or the relevance of the network, advertisers are more and more reluctant in buying a network inventory unless prices are slashed (but in this case, we’re getting close to the horizontal networks and the whole rationale of building a vertical network, based on the ability to command higher CPMs, is crushed). Just heard that Martin Schaedel, a very interesting, cheerful and attaching guy, died in a plane crash in Santa Monica yesterday. Martin was a modern incarnation of the concept of “international man of mystery”. He was always in or out of airplanes, always traveling to exotic places and always happy to meet new people. You could spend hours building conceptual business plans and doing small talks. Time usually flew with him. Also see the post from Fred Wilson there and the Twitter storm here.